Perfect for Little Engineers: A Marble Run With a Logical Twist! Featured in Good Housekeeping Featured in Purdue University's Engineering Gift Guide It’s a maze game. It’s a marble game. Actually, it’s a gravity-powered logic maze game that builds reasoning skills and visual perception. The best part is – it’s fun to play and learn! 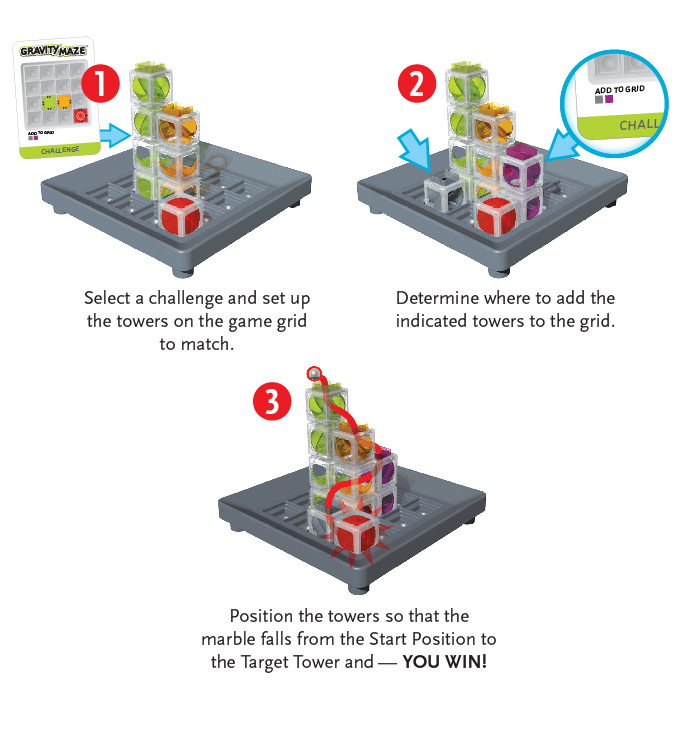 Use the challenge cards to strategically place towers and create a path for your marble to reach the target. With 60 challenges to test your skills, this fun maze game is definitely a marble run for brainiacs!